The European stage once again brought an excellent result after some indifferent results on the home front. Alex Cleland was drafted into the side at right-back, his first appearance since last April and it was the teenager who set us on the winning trail with his first goal for the club. However, we might well have taken the lead in the very first minute. 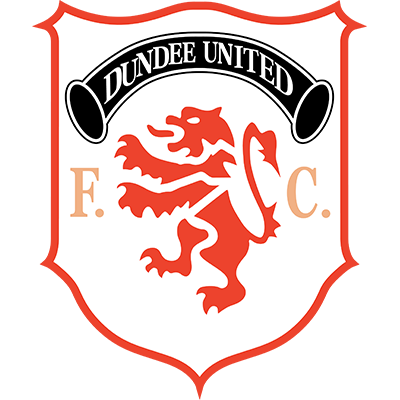 Dave Bowman sent over a corner, which Mixu Paatelainen headed against the bar. 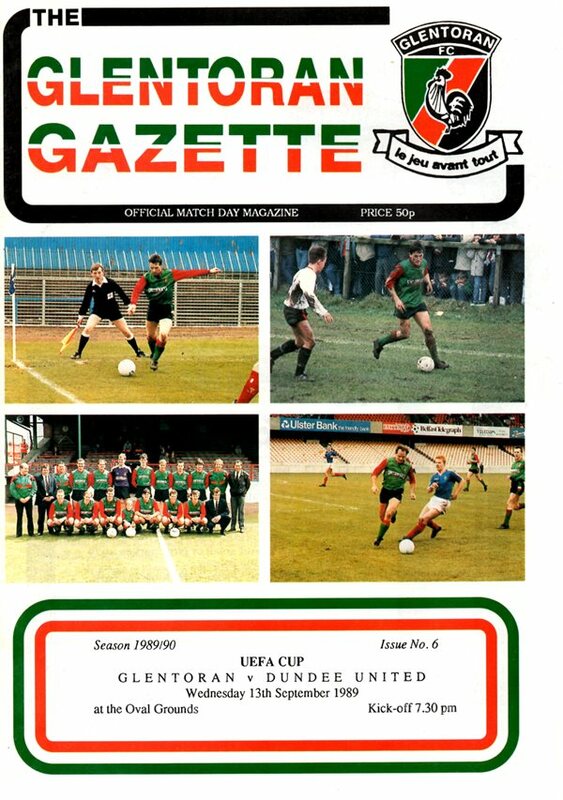 Glentoran showed their teeth when top scorer Gary McCartney headed straight into Billy Thomson's arms. Unusually for a European tie, play was end to end and in 32 minutes we went ahead. Kevin Gallacher's corner was only touched on by Billy Caskey to the back post where the ball fell perfectly to Alex Cleland, who struck a low shot past Smyth. 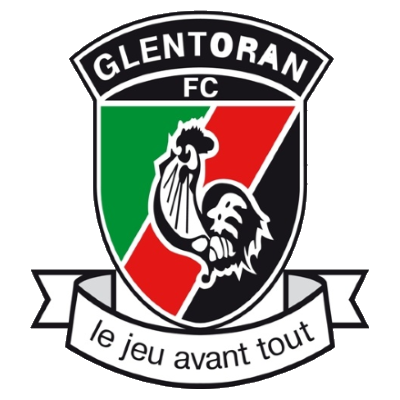 Glentoran tried to get back on level terms but by and large made little headway until they found a chink in our defence in the 69th minute. 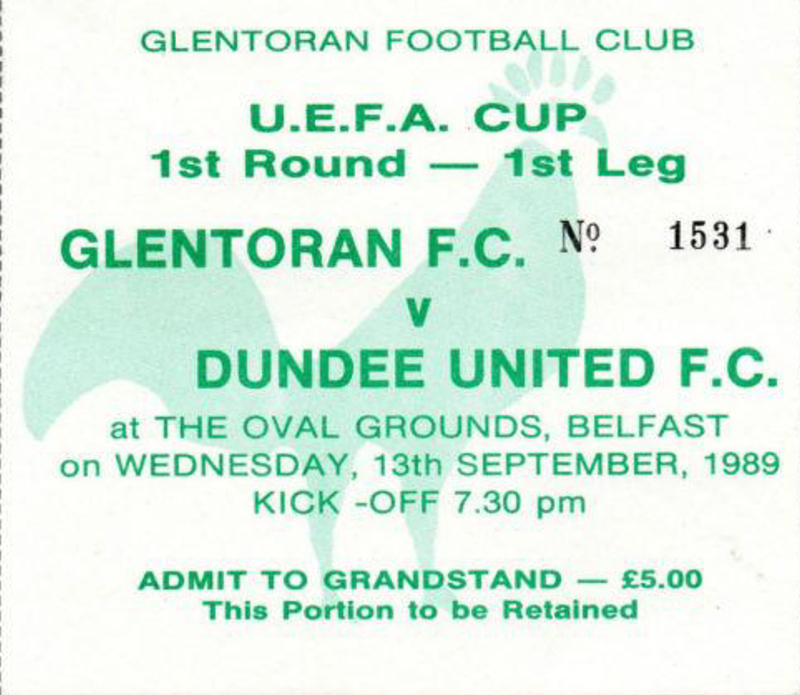 McCartney's through ball found Johnny Jameson who despatched a low shot into the corner of the net. Our response was quick and lethal. Kevin Gallacher outpaced the Glens defence and his cut back was slotted in by Jim McInally. Five minutes from time Peter Hinds, who had replaced Michael O'Neill, tried to drive his way past McCaffrey, but the ball cannoned off the defender and back into Peter's path and he ran on to calmly drive a low grounder past Smyth.